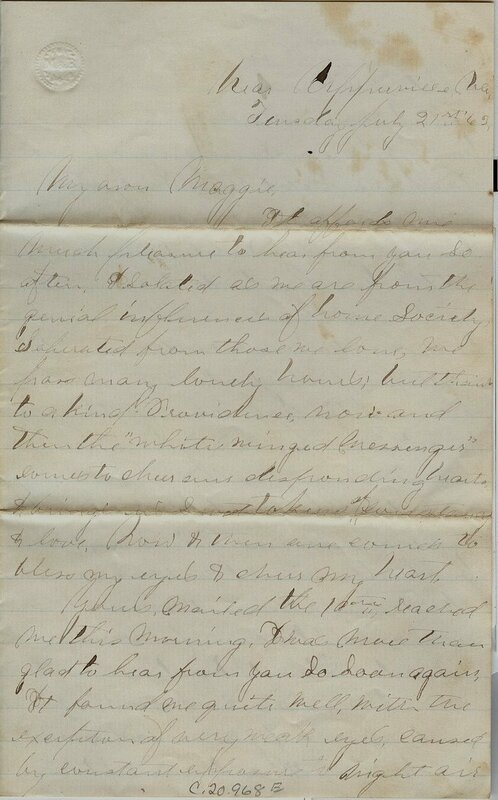 This letter finds Baird still in a dismounted camp outside Alexandria, Virginia. Cavalry soldiers were stationed at dismounted camps when there were no horses to be had until they could be assigned another and return to their unit. There were inherent issues in this system, which you can read more about here. Identifying “Jeff” and “Cyrus” is not possible with Baird’s scant references. There were several men with the first (or last) name Cyrus living in Hope that Baird mentions above. Copperheads were northerners that wanted to see the end of the war and saw it as unconstitutional, in the most basic terms. The story of the Copperheads is rather more involved and deserving of a read. Though I have written Several letters Since I last heard from home, yet I will try & pen a few lines to-day. I have not been well for Some time & for the last few days I have been quite unwell, though I am Still about. I am Still at the dismounted camp near Alexandria Va. Some of the boys will go out to-morrow I think though I Shall remain here now till I am able to do duty. Jonny Irwin is Still here & like my Self is unwell, with the diarreah. Henry Ward is here also & is rather under weather. I was fortunate enough to get my pay again to-day for two months, So I am able to Send you another check of $18.00. You will find it enclosed in this. Now when you get this & answer it, I wish you would Send me all the agricultural news you can. What you got for haul, how the hay & wheat crops came out, what is the price of wheat this fall, what is the prospect of the corn crop, & How does the clones in those two lots near Jackson’s do? or did you have to plow it up? Tell me, too, about the draft, how many were drafted from Hope, who they were & how they take the draft & what do the Copperheads think about the war now? Do they begin to tremble for Jeff? Is Cyrus as flush of Southern patriotism and Sympathy as usual? Give him my respects, but tell him Southern pride must come down, & that Southern chivalry must Submit to Yankey valor & determination. You will be surprised, no doubt, to find that I am in this city. But the incessant & rapid marches which our division has performed Since the 25th June, had used nearly all of our horses up, they being either killed or worn out, rendering it necessary for us to recruit. So last Sunday we were ordered to return all our unserviceable horses & report to this place for fresh ones, but many of our horses gave out entirely on the way, my own among the number. Of course we lost all our equipments & after we arrived the authorities failed to provide us with the necessary equipments & so quite a number of us had to remain behind. John Irwin is with me here. My dear father, you have, no doubt, frequently heard from us through the papers, and of the valuable services the Cavalry regiments have rendered this campaign. Since we left Fairfax the 25th June, the 6th Mich Cav’l has been engaged in eleven different battles & Skirmishes & I have been with it every time. Just a week ago today, we had a hard brush with a large force of the enemy, at Battle Mountain, near the Blue Ridge. In that fight Company K lost two men killed & two wounded. One of those killed is, I have to lament, my much esteemed friend Jonathan Smith. He was Shot dead as we were advancing. I have written to his mother. The other killed was Ira Kelsey. The wounded were Jimmie Hunt in the right shoulder slightly, & Fred Bergman in the right leg just above the ankle, fracturing the bone to some extent. I saw Fred to-day. He was very cheerful & Said if he got able to do Service he was willing to go back & try it over again. He is doing well now, He is in Mount Pleasant Hospital Ward No. 2 Washington. The patients are all well cared for. You may tell Johnathan’s Mother that She can draw a pension of eight dollars per month from the date of his death, if she makes application for such pension before the expiration of one year. I am now in what is termed a Dismounted Camp near Alexandria, Va. There is a large number of Cavalry waiting here for horses, I could not tell now when we Shall leave. We may Soon, we may not in Sometime. We came here yesterday before I could finish this. My health is tolerable good, Johnny is well, as were all of the boys when I left. As mentioned in a previous letter, Jonathan Smith was killed near Amissville, Virginia on the slopes of Battle Mountain near Newby’s Cross Roads. John Irwin enlisted in Johnstown Township in Barry County, Michigan in 1862. He was made Corporal in 1865 and mustered out shortly after. He married Priscilla Sams in 1866 and settled in Kansas where he was a farmer. They had 4 children together. He died in 1943 at the age of 100 and is buried in Centralia Cemetery in Nemaha County, Kansas. John Smith is listed in a previous entry. Ira Kelsey enlisted in Co. K in 1862 at the age of 36 and was killed in action at Newby’s Cross Roads, Virginia on July 24, 1863. James Hunt (Jimmie above) and Frederick Bergman were discussed in a previous entry, and their wounds were not fatal. First page of Baird’s letter, HCP collection. The date on this letter clearly reads July 21st, 1863, but the battle Baird describes seems to be the Battle of Upperville that took place on June 21, 1863. Could Baird have been mistaken? What do you think? 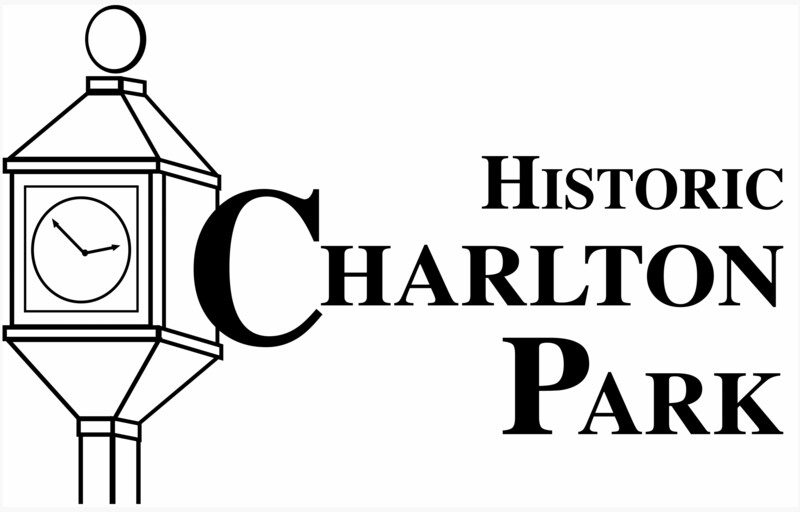 To help your pondering, here are some links to descriptions of battle at Upperville: http://www.cr.nps.gov/hps/abpp/battles/va038.htm and http://en.wikipedia.org/wiki/Battle_of_Upperville. It affords me much pleasure to hear from you So often. ISolated as we are from the genial influences of home Society, Seperated from those we love, we pass many lonely hours; but thanks to a kind Providence, now and then the “white winged messenger” comes to cheer our desponding hearts, & bring us Sweet tokens of [illegible, on crease] & love. Now & then one comes to bless my eyes & cheer my heart. Yours, mailed the 10th, reached me this morning. I was more than glad to hear from you So Soon again, It found me quite well, with the exception of very weak eyes, caused by constant exposure to bright air and riding in the dust. Our regiment, with a larger portion of the army, is now lying near Ashby’s Gap (Blue Ridge Mts.). We came to this place the night before last. The rebels then ocupied the Gap. Yesterday the 5th & 6th Mich, Cav’l, Made an advance on their position, as we advanced the rebels fell back until we had possession of the Gap. The 5th then fell back, the 6th following the enemy up about two miles, which brought us to the Shenandoah river. The rebels had crossed Sinking their boats after them, (the river being too deep to ford). Across the river the enemy had thrown up breast works & made a Stand. We dismounted about 1/6th of a mile from the river & advanced to fight on foot, Co’s K & B being, being on the extreme left came into action fast. In taking our position we had to advance through an open wheat field, with out any covering, as Soon as we entered the field we were greeted with a perfect Shower of bullets, but we had already deployed in Skirmishing order, So that none of their Shots took effect. For a few moments we took cover under the Shocks when we were ordered to a large brick house 60 rods to the front, with a cheer we advanced on double quick, another Shower of bullets greeting us, but without injury to us. As soon as we were under cover we commenced firing, & in ten minutes not a rebel could be induced to Show his head. A Scattering fire was kept up about two & a half hours, & as we couldn’t ford the river to charge their situation, & they being too well covered for our Carbines we fell back. As we were falling back, the cowardly dogs played upon us gayly with their long range guns, but they didn’t hit us, though we retired Slowly. Our casualties in this Skirmish was three wounded in Co’s C & F. They were on the right. We now hold the Gap, we may soon have a fight, but I can’t Say. Yesterday makes eight times I have been exposed to the enemies fire, But a kind Providence has spared, though many times the bullets cut close. There is now a large body of infantry here, among them the old Third, & last night I had the pleasure of Shaking hands with many of my old comrades. But, alas, many of them have fallen. Upside down: I am glad to learn that my picture reached you, I was fearful that it would not as I was compelled to trust an entire Stranger to the mailing of it. John Kahler got your letter this morning & he will write at the earliest convenience. The boys are all well. Jacob (John above) Kahler was from Prairieville in Barry County, Michigan and enlisted in Co. K of the 6th Michigan Cavalry in 1862 at the age of 20. According to his obituary, he drove General Custer’s headquarters wagon and was discharged in 1865. He married Mary Ward in 1867 and moved to the Charlevoix/Petoskey, Michigan area in 1883. They had 3 children and Jacob was a farmer prior to his death. He is buried in Greenwood Cemetery in Emmet County, Michigan. You can read his obituary here and see his death certificate. John can sometimes be a nickname for Jacob.